Hunting in Africa is a unique, addictive adventure – more than 80% of our clients are repeat hunters – and Bushmen Safaris will be more than happy to introduce you to the beauty and the wonderful bow hunting safaris available in South Africa. Whether your African bow hunting interest is primarily dangerous game, large game, small game, plains hunting, or Big 5 hunting, Bushmen Safaris will help you experience one of the greatest adventures on Earth during your African bow hunting safari. We are located in South Africa, which has long been a special destination for bow hunters from around the world. South Africa has the most species, best infrastructure and caters to the bow hunter better than any other destinations, and Bushmen Safaris has some of the very best hunting concessions in South Africa. During your time bow hunting with Bushmen Safaris, you also will be hunting one-on-one with experienced professional hunters that will help you identify the very best trophies, ensure your safety, and maximize your bow hunting opportunities. The Bushmen Safaris wildlife conservancy in South Africa also features great genetics and low hunting pressure, and this is one of the reasons why Bushmen Safaris bow hunters have placed hundreds and hundreds of animals in the top 10 Safari Club International (SCI) World Record Books. Bushmen Safaris is the ideal location for your first or next bow hunting adventure. Our beautiful location, superior service, competitive bow hunting packages, and world-class selection of animals helps make us unequaled when it comes to bow hunting safaris in South Africa. 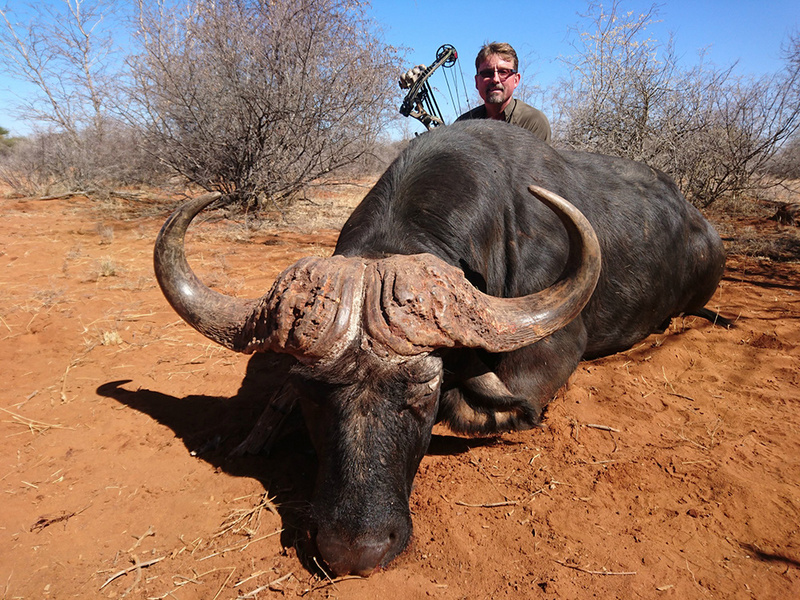 If you are ready to make your trophy wall pop with a great new addition from the beautiful land of Africa, then Bushmen Safaris is ready to help you make your bow hunting safari dreams a reality.